On June 18, 2018, USCIS updated its policy on Notices to Appear (NTA). NTAs are the documents that are used to start deportation proceedings against undocumented immigrants in the United States. The NTA issued to an individual instructs him or her to appear before an immigration judge on a certain date. The immigration judge will then decide whether the person will be deported or not. How does it affect immigrants? Under the new policy, USCIS officers will issue an NTA when an applicant is denied an immigration benefit (an extension or change of status, filing for legalization, a green card, etc. ), and the applicant is unlawfully present in the United States at the time of the denial. For example, if an employee stays in the United States beyond their I-94 expiration and gets a denial, under this new policy, the USCIS will issue a NTA. Previously, a criminal conviction was required to be fast-tracked into deportation proceedings. Now, being denied for a visa extension for example can put people on the same fast-track. Note: if you get an NTA, you must appear at the date and time indicated on the notice, otherwise, once deported, you could be banned from re-entering the U.S. in the future. Once involved in deportation proceedings, the individual must prove he/she is eligible to stay in the United States. The individual will not be provided with a lawyer and will have no right to a trial by jury. He/she also might face detention. This means that undocumented immigrants who are trying to legalize their status can be placed in deportation proceedings if their immigration application is denied. The application can be refused for a lot of reasons. For example, if the paperwork is wrong or incomplete, applicants can be placed into removal proceedings. Furthermore, the new policy makes it mandatory to issue NTAs to all undocumented immigrants who have committed acts that are deemed criminal offenses (even low-level infringements) but have not yet been formally charged. A USCIS immigration officer can also issue a NTA is he/she believes the undocumented immigrant poses a risk to public safety. Before sending an immigration application to USCIS, it is advised that you consult a reputable immigration attorney to make sure you actually qualify for the immigration benefit you wish to obtain, and if you do, to make sure the application is filed correctly with all the proper documents. How will this impact the whole immigration process? First of all, this NTA policy update gives USCIS a lot of enforcement power leading directly to the courts, so it will probably deter a lot of undocumented immigrants from applying for legalization or applying for a benefit, even when eligible. Secondly, the immigration courts are completely backlogged by several years with over 700,000 cases, so it will probably clog the immigration courts even more with a myriad of non-priority cases. Furthermore, it will likely be a much more stressful and expensive process to apply for any immigration benefits. Instead of doing it on their own, applicants will have to pay for an attorney to do it, even if they clearly qualify for the benefit. And because the outcome can potentially have some very serious consequences for the applicants, the added stress will likely be immense. Lastly, immigrants might be more vulnerable. 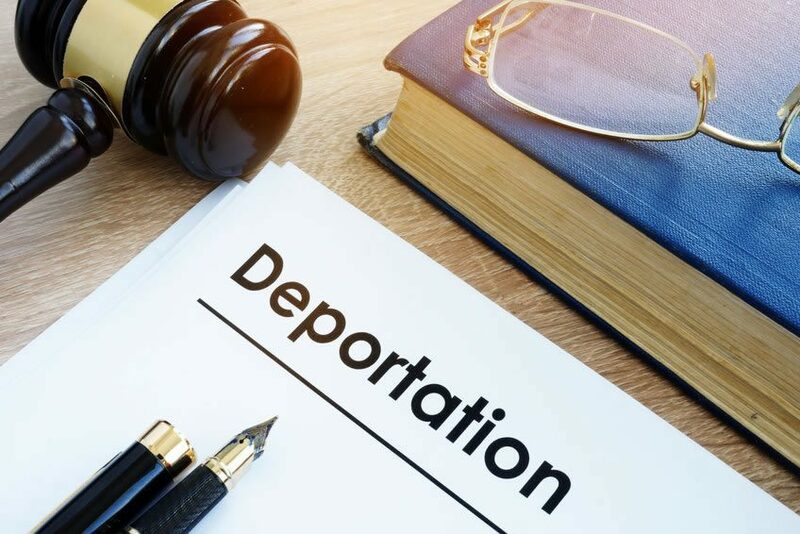 If an attorney or a notary advises them incorrectly or files the application incorrectly, they could find themselves in deportation proceedings. Are you preparing for your U.S. citizenship test? Our FREE U.S. Citizenship Test Online Training Program is up-to-date and will help you pass your test first time. Did you find our article interesting? Like it and share it!